I love Halloween and fall in general for several reasons. First off, I was born 15 minutes before Halloween. Missed it by that much! But it's not so bad… presents one day, candy the next! Good thing I was not born around Christmas, otherwise I'm sure I would get the birthday/Christmas combined gifts! I also love Halloween because it's the one time of year where it's ok to pretend to be someone or something you're not. Just an FYI: other times of the year you might get arrested for that. The colors, the crisp air, the crunch of the leaves beneath your feet… all reason I love the fall season. 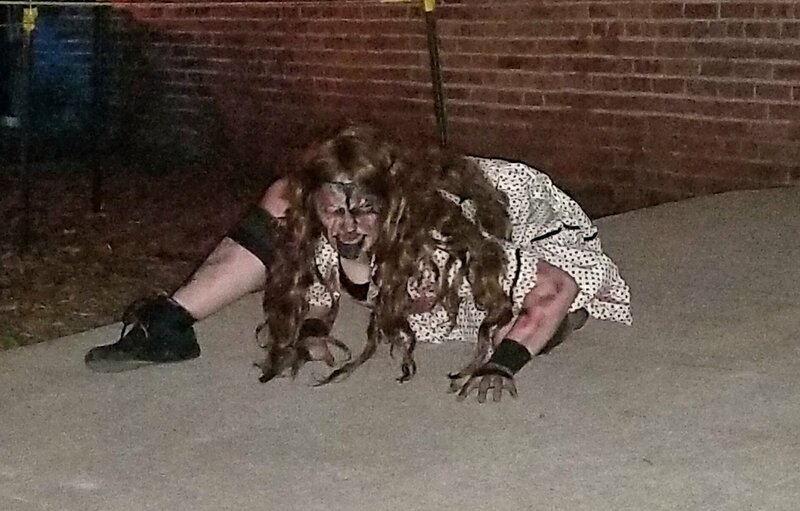 When I attend a haunt, I want to be scared! It's a great adrenaline rush, much like a roller coaster ride. Some funny rooms or actors are ok if used in moderation. I love to see the creative details that some haunts put into their exhibits, some are works of art! But I also like the dark haunts, where you have to rely on your other senses to make it through. Strobes and black lights are ok, again if used in moderation.